Warning: spoilers for last night’s Legends of Tomorrow episode are ahead! 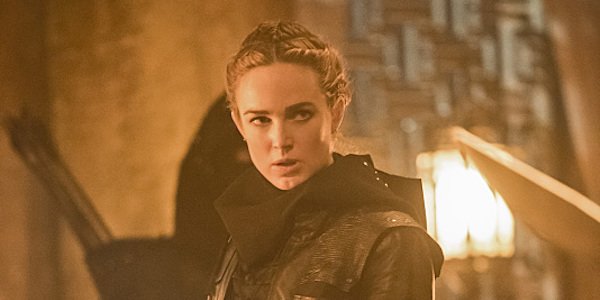 Sara Lance’s past following the Arrow Season 2 flashback storyline has always been shrouded in mystery. Originally believed to have died while battling Slade Wilson on Lian Yu, she returned to then-Starling City in present-day Season 2 and revealed she’d become a member of the League of Assassins. How exactly she became one of its lethal members has never been clearly explained, but last night’s Legends of Tomorrow episode, titled “Left Behind,” finally shined some light on this time in her life when in 1960, Sara ensured her own fate for 48 years later. After Sara, Ray and Kendra were left behind in 1958 after the Waverider was attacked in “Night of the Hawk,” the trio made the best of their situation. After 10 weeks of waiting for the crew to pick them up, Sara decided to move on with her life, so she returned to the one place she thought she’d feel at home: the League of Assassins. Although this was her second time joining the organization, this was Ra’s al Ghul’s (reprised by Matt Nable) first time meeting her, and after two years, he was impressed by her swift progress. When the crew went to pick her up, she was caught in a “time drift” and betrayed the team to the League, but Kendra was able to snap Sara back to her sense during a trial by combat. After they dealt with that pesky Chronos (who was revealed to be definitely-not-dead Mick Rory, a.k.a. Heatwave), Sara was released from the League by Ra’s, but before leaving with the rest of the team, she told Ra’s send his daughter to Lian Yu’s coast in 2008. When he questioned why he’d send his daughter Talia there, she clarifies that it’s his future daughter, the one he’ll call Nyssa. 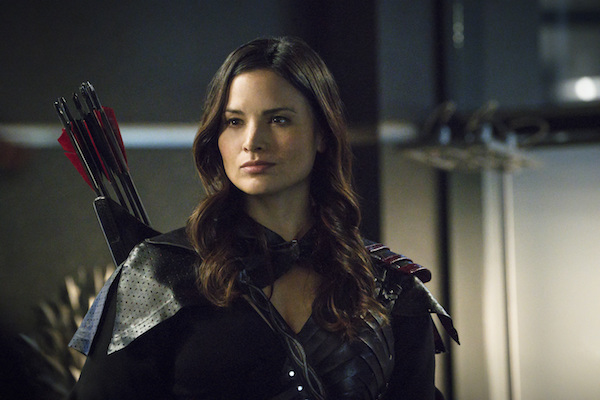 In past Arrow episodes, Nyssa made comments about how weak Sara was when she found her, but the circumstances of her discovery were never expanded upon. In the Season 2 finale’s flashbacks, Sara was swept off the Amazo during her and Oliver Queen’s battle with Slade Wilson, and her next chronological appearance was as The Canary in Starling City. Now thanks to Sara’s warning in the past, she’s made sure that her past self survive. Nyssa will go the island in 2008, find Sara after the conflict with Slade and bring her to Nanda Parbat. Of course, it begs the question of how Sara survived in the original timeline had she not gone on this adventure with Rip Hunter and the other “legends,” but that gets into time travel headaches. After Nyssa rescued Sara, we loosely know how Sara’s story progressed from there. She trained with the League and swore allegiance to them. Over five years, she went on many missions and killed various targets in the name of The League. When she learned of The Hood and The Undertaking destroying part of The Glades in the Season 1 finale, she returned to Starling City and fought crime, but after a couple months, she decided not to return to the League. Oliver eventually learns she’s still alive and the rest is history…or if you're in 1960, the future. Now that Sara has left this warning with the Arrow Season 3 antagonist, she can continue on her current mission with the other Legends of Tomorrow protagonists: prevent Vandal Savage from destroying the world. New episodes of Legends of Tomorrow air Thursdays at 8 p.m. EST on The CW.